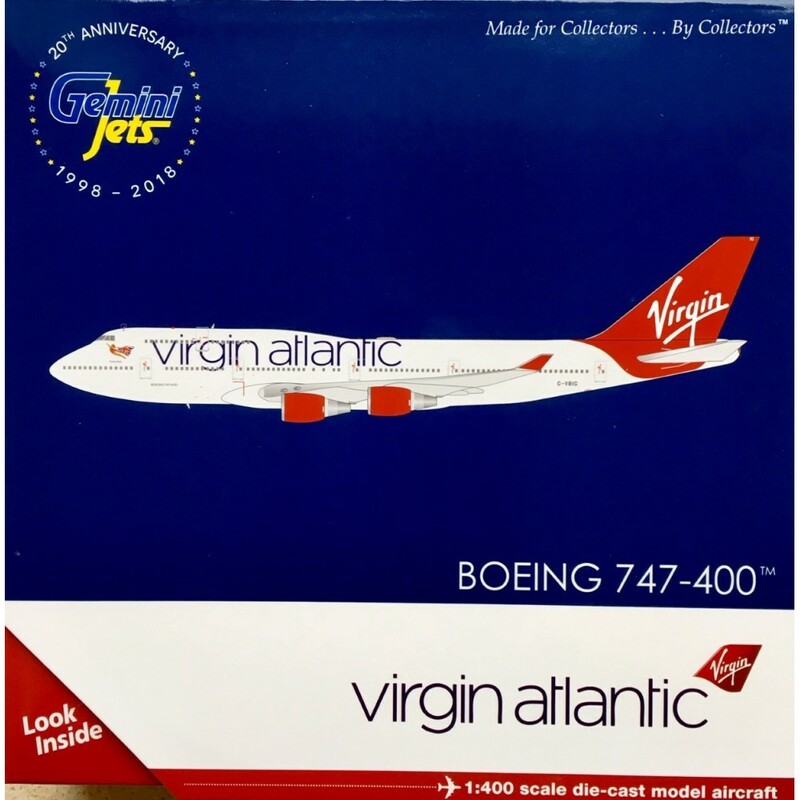 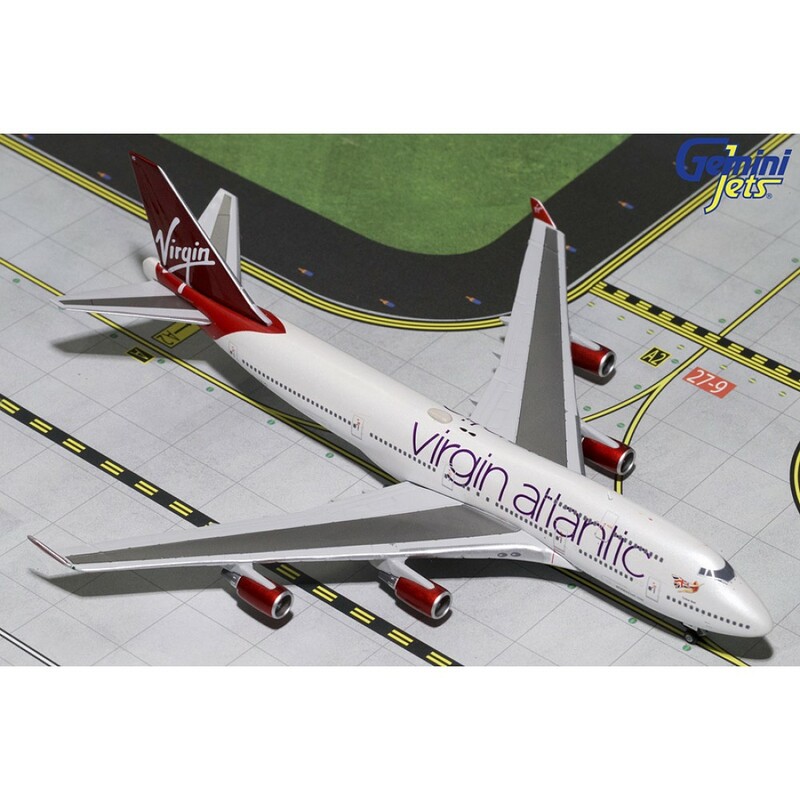 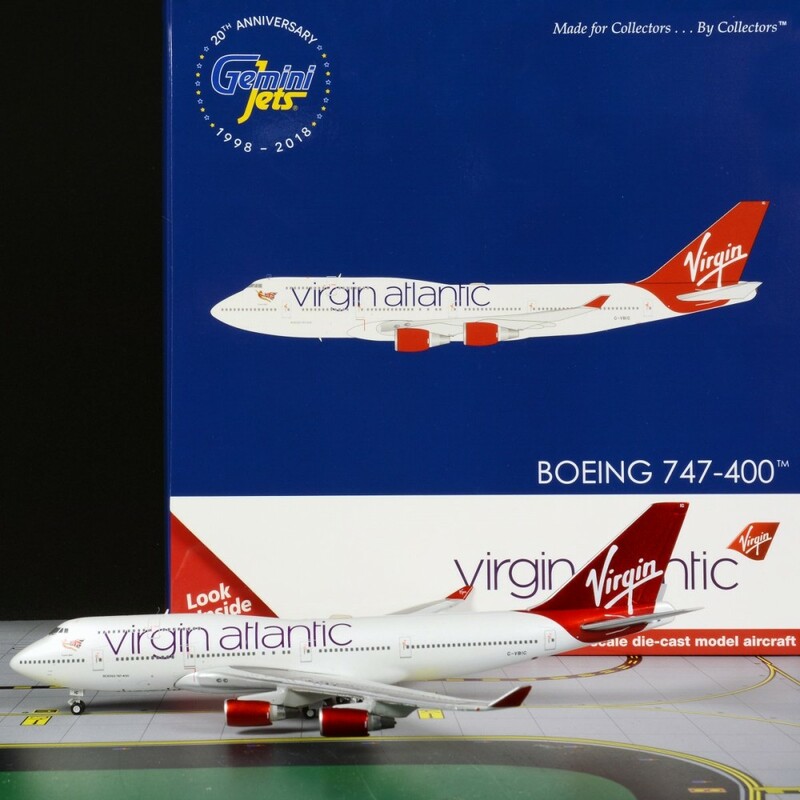 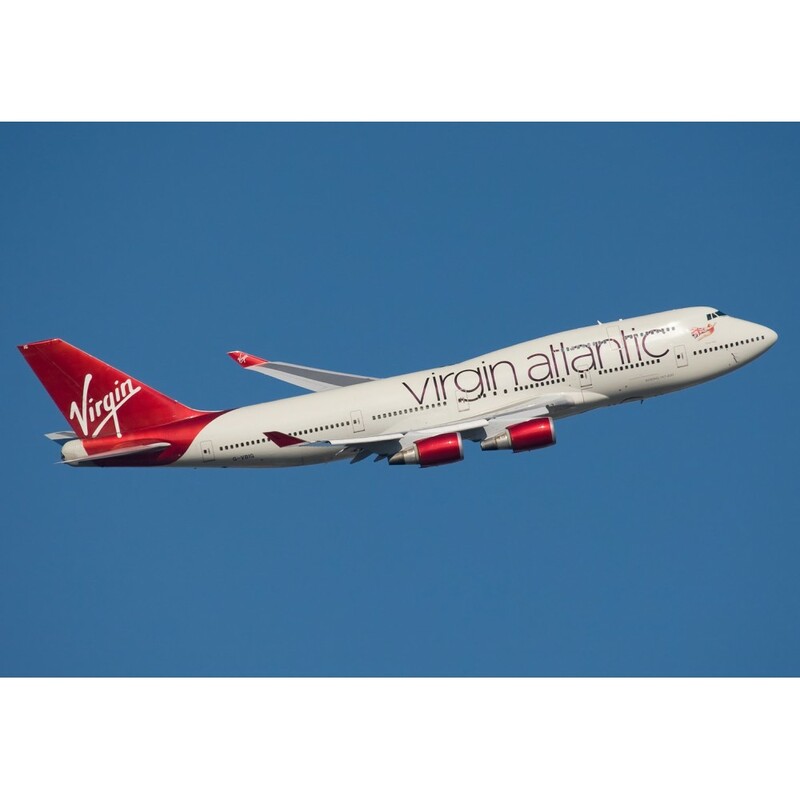 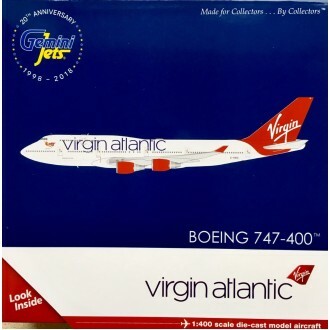 Virgin Atlantic Airways uses a mixed fleet of Airbus and Boeing wide-body aircraft and operates to destinations in North America, the Caribbean, Africa, the Middle East and Asia from its main bases in London Heathrow and Gatwick, and its secondary base at Manchester. The airline also operates seasonal flights from Glasgow and Belfast. 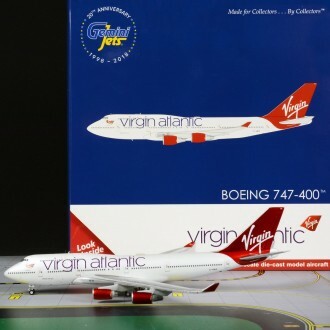 The Boeing B747-400 Jumbo consume up to 13% less fuel and make half the engine noise the original 70's versions. 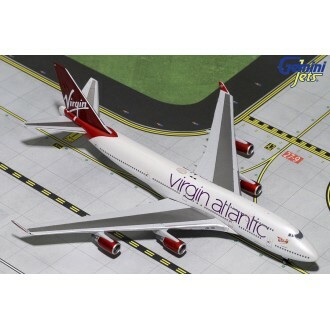 This model is approximately 18cm in length, with a wingspan of 14.5cm.